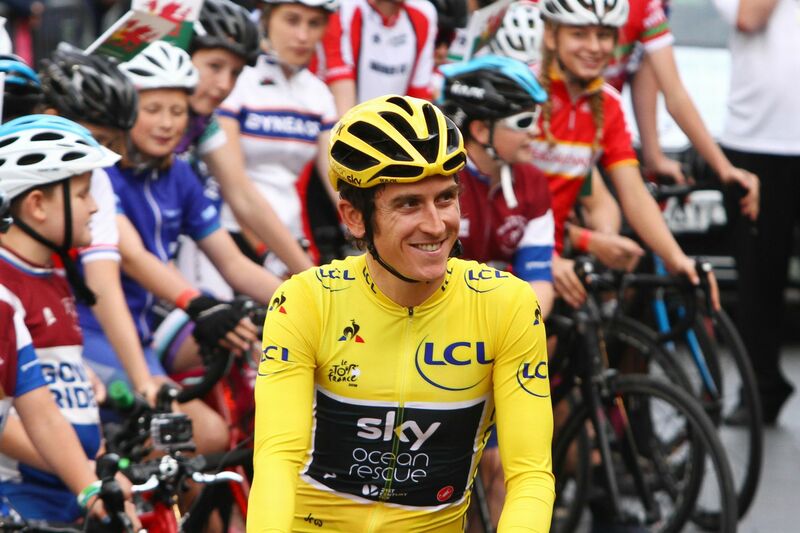 Geraint Thomas has made a triumphant return to his home town of Cardiff, Wales where thousands of people turned out to celebrate his recent Tour de France victory. 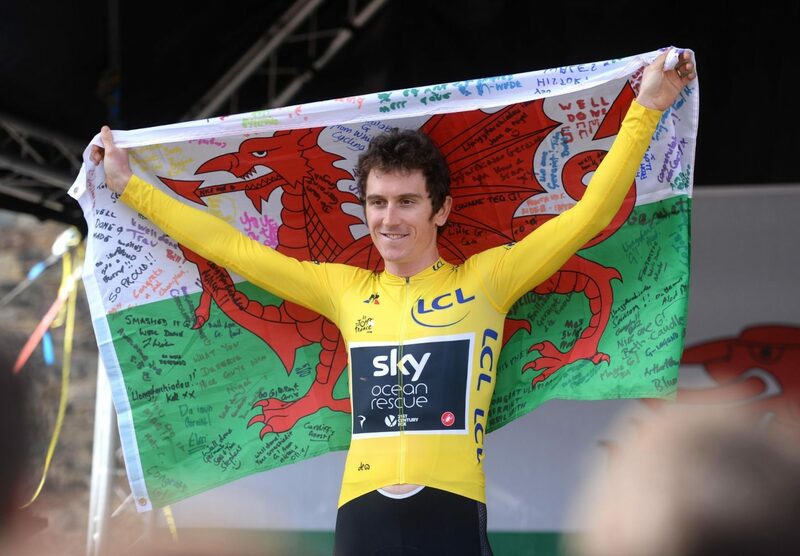 The Team Sky rider, who last month became the first Welsh rider man to win the grueling three-week French Grand Tour, rode into the city wearing the famous yellow jersey, followed by his own peloton of local riders, many of them children. 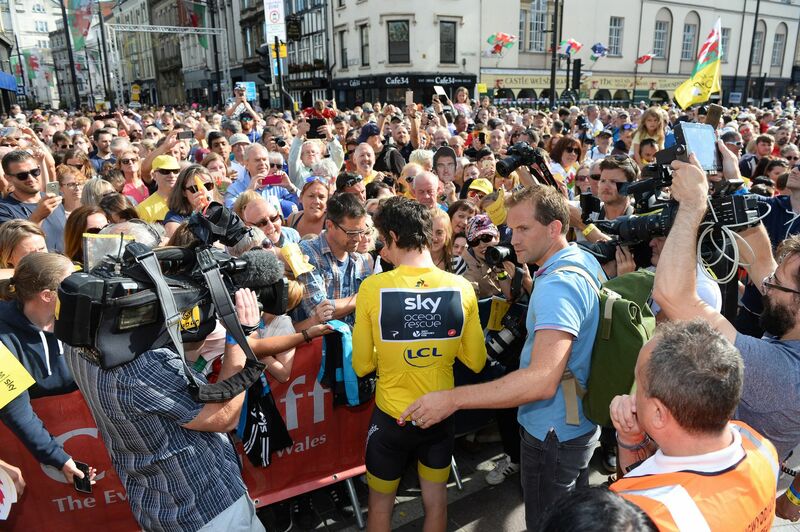 He ditched the bike near Cardiff Castle to greet fans, as he shook hands and signed autographs. Thomas said it “could have been awkward or a bit tense” between him and defending champion Chris Froome, who led the Tour early on, but it wasn’t because Froome “was happy for me” and was “a true gentleman about it”, when Thomas took the lead. It has been suggested that one of them may now leave the team, but Thomas said there is “definitely” enough room on Team Sky for them both. There’s plenty of other races as well,” he added. 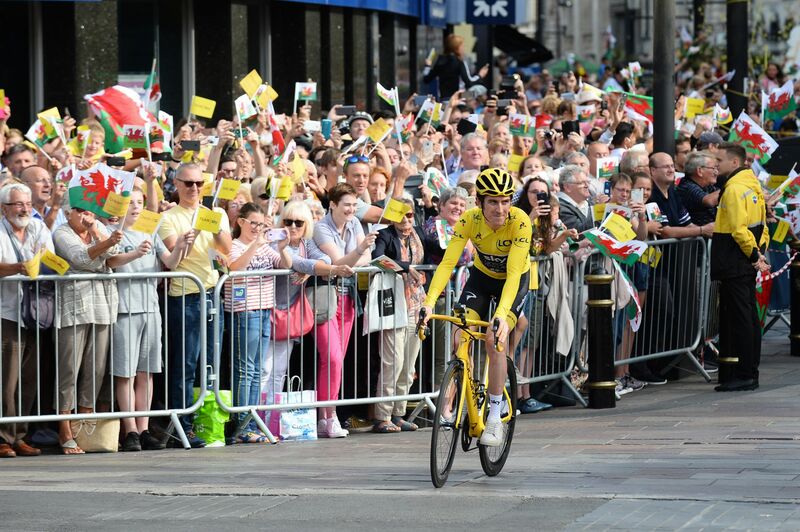 Thomas admitted he was stunned by the size of the crowd and that the welcome home was “overwhelming”, adding it “was insane how many people came to the castle”. When told that the crowd to greet him was bigger than when the Royals (“Harry and Meghan”) visited there in January, Thomas shrugged and said “pretty good scalps to have, I guess”. Thomas said he will return to training later this month, but admitted he may need to get some laundry done first, as he had been wearing his yellow jersey “for the last 10 days and it’s probably a bit smelly”.